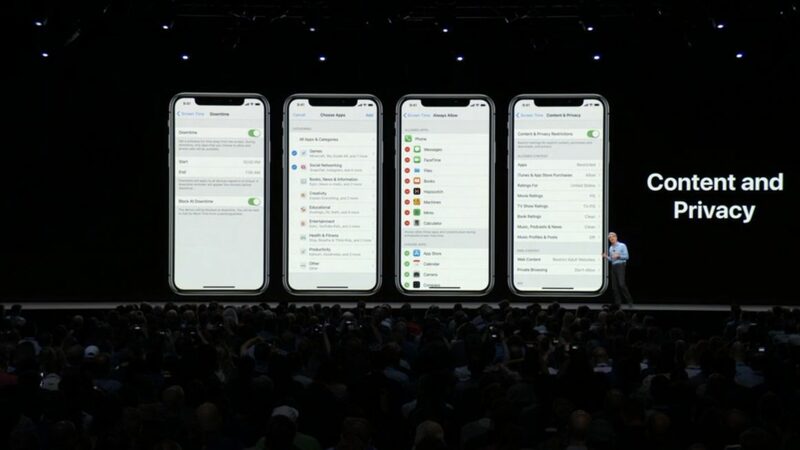 During WWDC 2018, Apple officially presented iOS 12, macOS Mojave, watchOS 5 and tvOS 12. The big new update for the iPhone, iPad, MacBook, iMac, iWatch and Apple TV adds a number of important improvements and new features this year. We put everything you need to know here in a row. As we are combing all the new updates at one place, let us see one by one as follows. 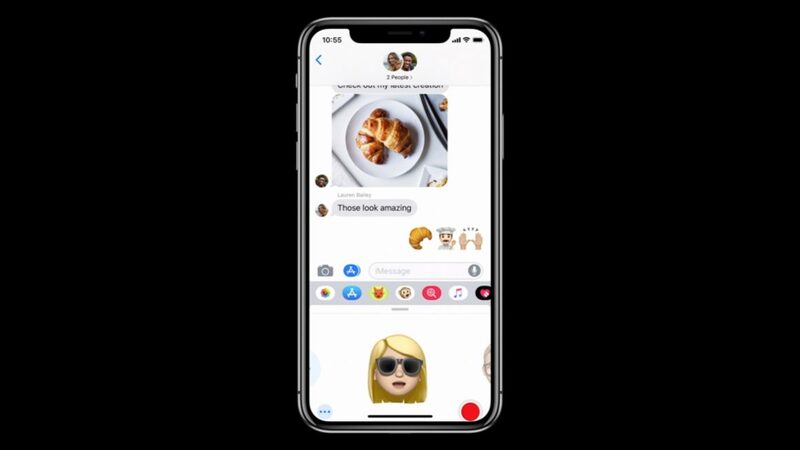 As usual, we got to see the new iOS 12 in WWDC event. Apple traditionally opens the developer conference with a keynote, in which the company shows all its new software updates for that year for the first time. iOS 12 is always the highlight of the evening, and that is no different this year. In this article we list all the new features, so you know exactly what news comes to your iOS device this autumn. 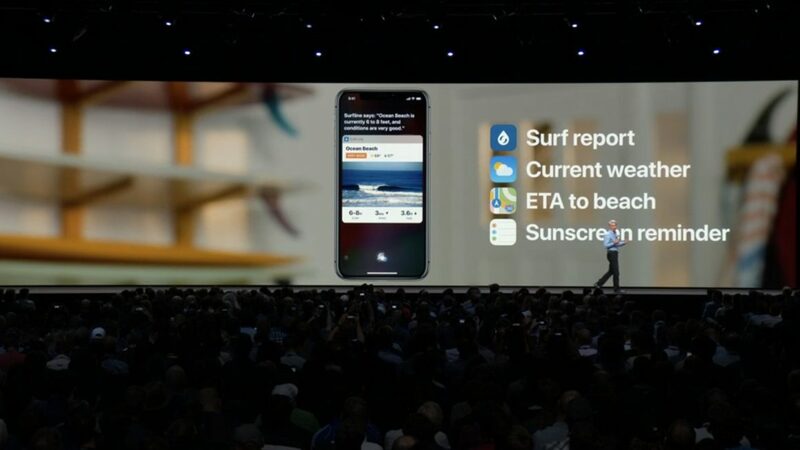 During the presentation, Apple made it clear that iOS 12 is about performance. That means that iOS 12 is available for all devices that also run on iOS 11. In addition, they run a bit smoother than on iOS 11. Also, the iPhone 5S gets an update to iOS 12. In addition, iOS 12 is a bit faster than its predecessor. The update would ensure that apps load 40% faster, the keyboard works 50% faster and the camera app loads more smoothly (about 70%) on older iOS devices. 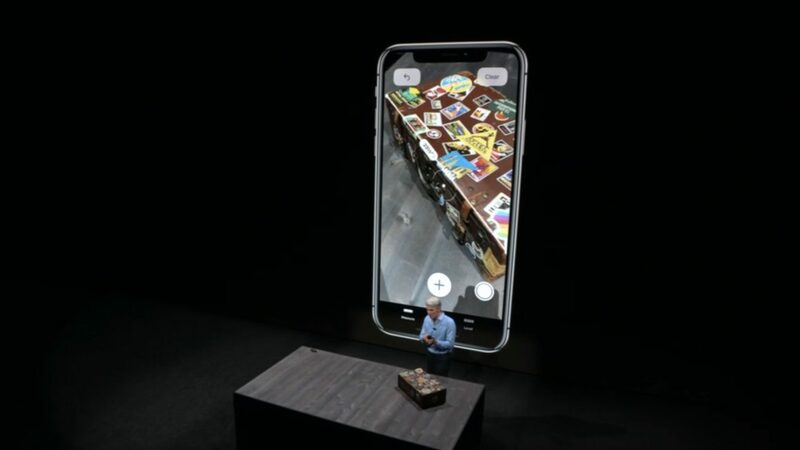 An important pillar of iOS 12 is augmented reality. ARKit, therefore, receives a major update. New is the used format, which must ensure that ar-experiences are easier to develop, but can also reach more devices. Apple works with Adobe for this purpose, so developers in Creative Cloud can store their creations right away as an augmented reality experience. There will also be an app to measure objects in augmented reality. As an example, Apple showed a suitcase that was measured in real time. The new ARKit 2 now links multiple devices together, so that multiple iPhones and iPads can look at the same virtual object. This makes it easier for a school class, for example, who can watch the same object in AR with their iPads during a presentation. Apple also showed a LEGO game in which up to four users can play with each other in augmented reality. Siri is also being improved. The voice assistant receives so-called shortcuts so that it becomes possible to link applications to Siri. Applications get a separate Siri button and if you link your own search query, Siri will search the app if you ask. Furthermore, Apple takes on the Do Not Disturb mode. To prevent you from being awake and stressed at night by all the notifications you receive, you will only see a black screen at night. If you look at your iPhone at night, you are less likely to check all your notifications. You can also choose to send notifications of certain directly to your notification screen, instead of all of them coming to your lock screen. More importantly, notifications can now be grouped together, instead of being listed in chronological order. This is a big improvement that users have been asking for for a long time. After Google with Android P, Apple with iOS 12 will give more insight into the way you use your iPhone and iPad. A new setting with the name ‘Screen Time’ shows exactly how much time you spend on it per app. This should ensure that you become more aware of your smartphone use and, for example, you can choose not to spend an hour every day in the Facebook app. In addition, it will be possible to set time limits for apps, so that, for example, children can only spend a certain amount of time in an application. This gives parents more control over the iPhone or iPad use of their children, but also about their own. The singing Animoji that you are imitating thanks to face recognition was a hit on social media at the end of last year, and so Apple is even more challenging with iOS 12. The range of Animoji is further expanded with colourful figures of a spirit, koala, tiger and dino. There will also be tongue recognition. New is Memoji, with which you can make an Animoji from your own face. Users receive many different options for this so that they can ‘imitate’ themselves. FaceTime also gets an update in iOS 12. By far the most important improvement is that it becomes possible to make video calls with groups. In iOS 12 you can make video calls with up to 32 people at the same time. Setting up a group video call is about the same as setting up a group discussion with text. Participants can decide for themselves whether they should participate or leave the conversation. In order to keep group video conversations clear, the person who speaks is automatically shown in the picture. If you want to see someone better, you simply tap him or her twice. 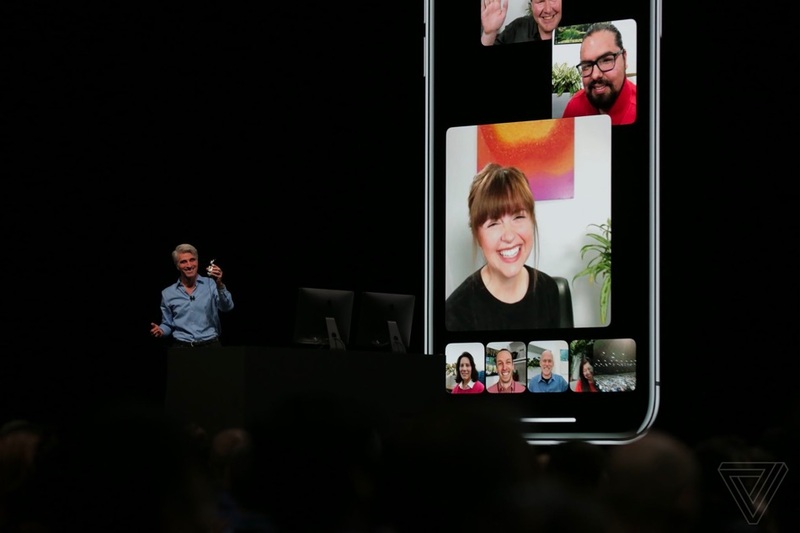 The new FaceTime features work on the iPhone, iPad, Mac and you can also join the Apple Watch via audio. Do not want to wait for the iOS 12 release? Install the beta! Although iOS 12 will only be available this fall (at the same time as the iPhone 2018), you can start using the new functions before. After the keynote, the first iOS 12 betas will appear, followed by a public beta. Although this version will still have the necessary bugs, this is a way to be the first to get started with all the news. The first beta is released and you can download and install it now. All devices that now run on iOS 11 will be updated to the new version. That means from iPhone 5S and higher, iPad mini 2 and higher and the iPod touch (sixth generation). If your iOS devices are listed below, you can expect an update. It is still unclear when iOS 12 appears exactly. 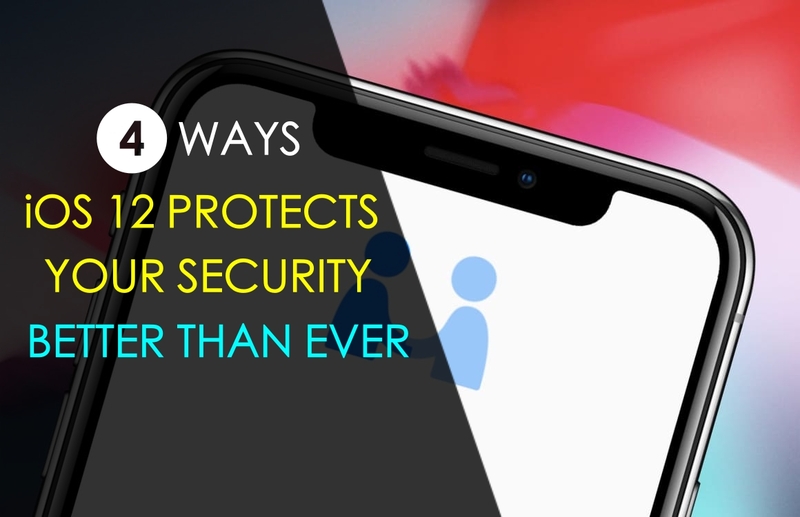 This is all about the new iOS 12 features and updates. I hope this article will guide you all about the iOS 12. If you have queries, comment below. Apple officially unveiled macOS Mojave. The update for the iMac and MacBook introduces a number of major improvements, which we will go through one by one in this article. In addition to iOS 12 and watchOS 5, many Apple users have been looking for macOS Mojave for months. This successor to macOS High Sierra takes the Mac software to a new level with improvements and a number of smart new features. Unlike last year, macOS 10.14 gets a new name again, and a few days before the keynote, some new features leaked out. The big update comes out this autumn. If there is a feature that users have been asking for years, it is a Dark Mode for the Mac and iPhone. This dark mode colours all white menus black and grey, so that the Mac is a lot nicer to use in the evenings. More and more apps have added such a dark mode in recent years, and this year Apple is doing the same for the complete macOS software. That means that all menus like the Finder are wrapped in a dark colour, and you can manually switch this option on and off. During the presentation, the functions for professionals were particularly emphasised. For example, many photos are better off against a dark background. This is useful for graphic designers. Developers were also waiting for this function because the Xcode program becomes more user-friendly. MacOS Mojave is also better organised through ‘Desktop Stacks’. All things on your desktop are grouped based on files: photos with photos and presentations at presentations. With the click of a button, all files disappear in a folder. MacOS 10.14 also gives you more information about files without having to open them. When you view a photo, you will see an information screen on the right. This shows, for example, with which camera the photo was taken. When you make a screenshot from now on, you will see a preview at the bottom right. You can enlarge and edit directly from here, without having to open a photo program. The same principle applies to edit videos. When you come across an interesting animation on a website, you can immediately cut it out and use it in a presentation. Apple News is a service that allows you to read a selection of newspaper articles. From now on it is also possible to record voice memos with your computer. Finally, the Home app also comes to macOS. Safari will also automatically block trackers from now on. These are files that many websites place on your computer, so they can find out which sites you visit. In addition, it is more difficult for advertising publishers to specifically reach you. Apple makes your data anonymous. The Mac App Store has a new look. Among other things, the home screen has been updated. From now on, Apple puts an app in the spotlight every day. Developers may then tell something about their program. Apple also gives tips for apps that you have installed. In addition, it is easier to leave feedback. This makes the App Store better know what flavour you have, and on this basis makes recommendations for downloading new programs. The WWDC is a conference for developers. A specific program for this group is Create ML. This allows developers to get started with machine learning in a low-threshold way. This is the process whereby a device, such as a MacBook, becomes ‘smarter’ independently on the basis of data, without being programmed for it. In recent weeks, it has been suggested several times that Apple plans to merge iOS and macOS. This is not the case here, as was explicitly stated during the presentation. However, the company is going to experiment with a universal App Store. This makes some iOS apps usable on macOS. First, there are some Apple own apps, such as Home. External developers can start using the function from 2019 onwards. When is macOS Mojave available? macOS Mojave comes out this fall. A specific release date is left in the middle. Of course, some of the beta’s come first, which are meant for developers. 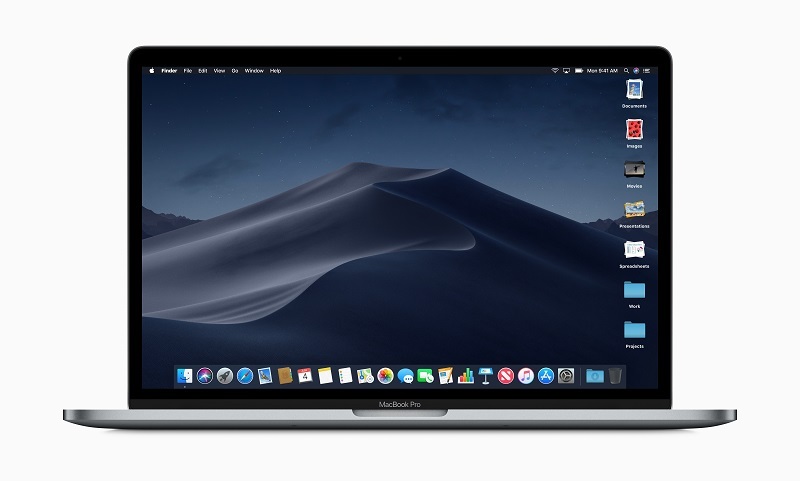 Currently, the first beta of macOS Mojave is released. This is all about the macOS Mojave. Stay tuned to our website for more latest updates. The Apple Watch will again be a lot smarter this fall. Now that Apple has officially announced watchOS 5, we finally know which new improvements, features and watch faces we will be able to add to the smartwatch. In this article we list them one by one for you. Although watchOS 5 is unveiled, it will take some time until everyone can get started. 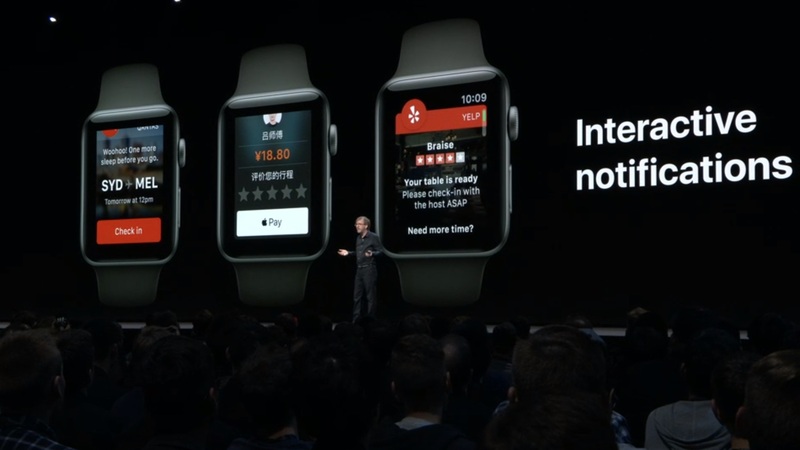 Apple always unveils the update a few months before the release, so developers have the time to create apps that support watchOS 5. Can you really not wait to put the update on your Apple Watch? Then you can use the watchOS 5 beta, which is available for developers as well as for public testers next week. With this, you can get started with the new functions, but the chances are that you will have to deal with bugs and other errors in the software. In watchOS 5, Apple adds the opportunity to challenge your friends for a week-long game. It is then recorded who best fills his activity rings. During the week you will receive notifications about your progress and whether you are ahead or behind. Of course, the winner will receive a nice badge for it. 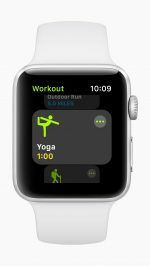 With watchOS 5, Apple also adds new workouts. You can start a workout for yoga or for a hike. Also, runners get new options, such as warnings about the pace in which you want to walk. 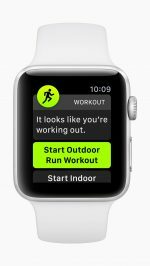 The Apple Watch will automatically recognise workouts with watchOS 5. You do not have to start and stop it manually anymore. Apple introduces Walkie-Talkie with watchOS 5. It is a new app that makes it easy to talk to each other through your watch. That works like an old-fashioned Walkie-Talkie, which is useful for short voice messages. In addition, Siri is being improved on the Apple Watch. In addition to the option to use Siri Shortcuts as in iOS 12, apps from third parties with watchOS 5 appear on the Siri dial. You can also activate Siri by only holding your wrist up and talking. Notifications in watchOS 5 are more interactive. That means that within notifications you get the opportunity to take actions. With watchOS 5, the Apple Watch also supports WebKit. This means that you can easily view web content on the small screen of the watch. The Podcasts app from Apple also comes to Apple Watch with watchOS 5. That means you can listen to podcasts without your iPhone. Handy for during sports if you want to listen to something other than music. In addition to watchOS 5, Apple has another surprise for Apple Watch carriers in store. Starting today, a new free dial is available with the colours of the rainbow. There is also a new version of the Pride band available. 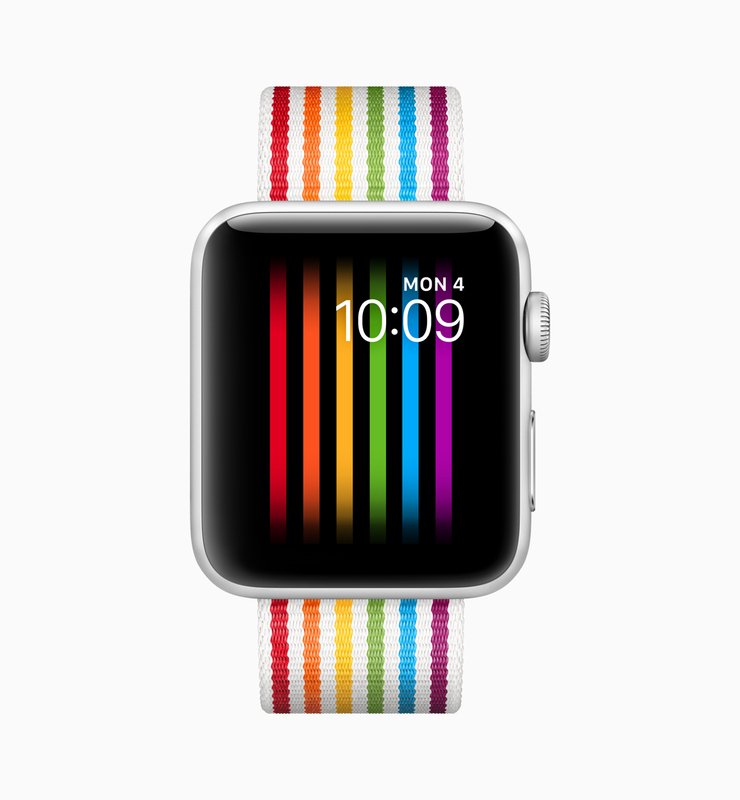 June is Pride Month, with Pride events around the world and Apple is participating in it every year. This is all about the watchOS 5. Bookmark this article for more new updates in the future. Apple has officially unveiled the new Apple Tv OS that is, tvOS 12. The update for the Apple TV introduces a number of improvements, which we will go through one by one in this article. The big star of the evening is, of course, iOS 12. However, TVOS 12 has also been announced. The latest version of the operating system for the Apple TV is modest in nature. These are the most important additions. iTunes now has a larger collection of 4K HDR films. In addition, many older titles have been upgraded, making the power of the 4K Apple TV better utilised. In addition, tvOS 12 gets integration with Dolby Atmos. This technique delivers audio from three directions, making watching a movie an engaging experience. The TV app receives support for more (American TV channels). With that app, you can watch TV directly on your Apple TV. This year it includes news channel. From now on it is possible to use an aerial photograph of the entire earth as a background for your Apple TV. The company works together with NASA for this, which supplies the images. That is it! This is all about the new features and updates of iOS 12, macOS Mojave, watcOS 5 and tvOS 12. I hope this article will help you to find all the necessary OS updates for you. If you have any queries let us know them in the below comment section and we will get back to you as soon as possible to solve all your queries. Bookmark this article for all the new beta updates, official OS release dates and many more in the future. What are all the Apple devices do you use now?